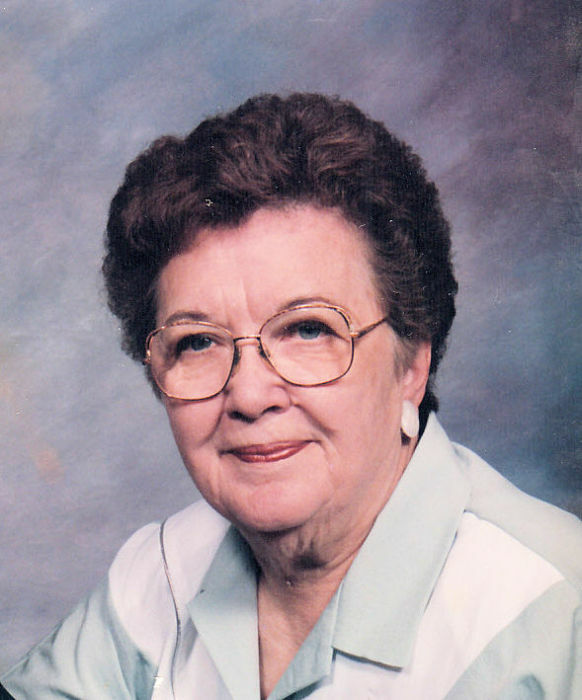 Rose T. Jasnoch, 91 of Loup City, NE died Monday, December 3, 2018 at Rose Lane Home in Loup City. Mass of Christian Burial will be held at 11:00 a.m. Friday, December 7, 2018 at St. Josaphat’s Catholic Church in Loup City. Father Richard Piontkowski will celebrate the mass. Burial will be held at the Evergreen Cemetery in Loup City. Visitation will be from 9:00 a.m. to 11:00 a.m. Friday at the church with a Sodality Rosary to be held at 10:00 a.m. Friday at the church. Memorials are suggested to St. Josaphat’s Catholic Church or donor’s choice..
Rose T. (Koperski) Jasnoch was born January 19, 1927 on a farm near Farwell, Nebraska to Frank and Vernie (Lubash) Koperski. She attended Kelso country school and St. Anthony’s Parochial School in Farwell. On May 15,1946 she married Leonard Jasnoch at St. Anthony’s Catholic Church in Farwell. Rose was a farm-wife and her and Leonard also owned and operated Fisherman’s Bar. She also worked at the Colony Club until 1987. Rose enjoyed the Green Thumb Program and going to the Sherman County Senior Center. She was a member of St. Josaphat’s Catholic Church, Rosary Sodality and Altar Society. Rose is survived by her sons and daughter-in-law, Roger and Susan Jasnoch of Kearney, NE; Mike Jasnoch of Lexington, NE; daughters and sons-in-law, Connie and Frank Butler of Lexington, NE; Linda and Ron Kowalewski of Madison, NE; 12 grandchildren; Monte, Brad, Casey, Shon, Alex, Scott, Kim, Jane, Becky, Jamie, Danni and Crystal and 23 great grandchildren; brothers and sister-in-law, Leonard Koperski of St. Paul, NE; Frank and Sharon Koperski of Farwell; sister and brother-in-law, Leona and Robert Verley of St. Paul and sisters-in-law, Dorothy Koperski, Gladyce Koperski and Viola Koperski. Rose was preceded in death by her husband, Leonard in 1997; son, Tom in 1996; daughter-in-law, Donna Jasnoch; brothers, Harry, Edward, Stan and Paul; sisters, Bertha Kuszak, Cecelia Koperski and Catherine Miller and special friend, Ray Rozmiarek.